Rodent contaminations in Gilbert, Chandler and Phoenix, Arizona area can result in considerable damage to infested homes and agriculture. They are known to carry diseases harmful to humans and pets. Rodents are quick reproducers and must be addressed immediately. These warm-blooded critters are found all around the planet and love the warm climate of Arizona. Their large front teeth allow them to gnaw and chew through the structure of the home itself, not to mention furniture and decor. 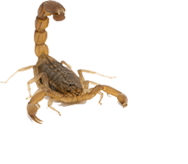 Mice and Rats, the most common rodents here in Chandler and Gilbert, are known to spread very quickly through the small crevices of a home structure and produce havoc. They can also attract disease-carrying fleas and ticks into your home and place of business. Rats especially are known to defend themselves when threatened. It is advised to keep children away when trying to trap one. However, even the presence of one rat in your home could mean infestation. Don't hesitate to give us a call if you spot one. 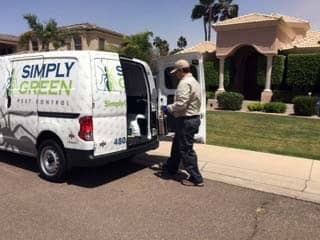 We can help identify it and find the best plan of attack for permanent elimination of rodents, mice and rats here in Gilbert, Chandler and all Phoenix, Arizona area.